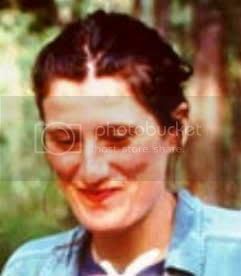 *Account from UK BBC news network August 17, 1998 - The parents of a British backpacker who went missing in Australia say they have given up hope of finding her alive. Lionel and Beth Bridge, from Carlisle, arrived in Australia on Sunday to join the police search for their 28-year-old daughter Celena. 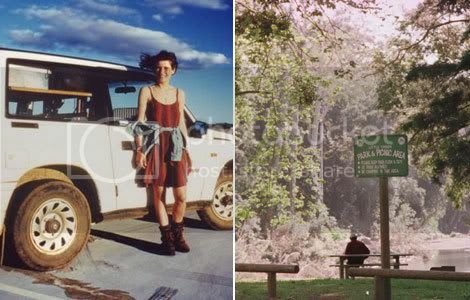 A keen bushwalker and environmentalist, Ms Bridge went missing over a month ago in a south-east Queensland state forest. She was on a three-month tour of Australia studying birds and eco-systems. Police now believe the woman may have been hurt in an accident in the state forest. They said there were no indications of foul play. * The young woman was last seen on 12 July when she left Crystal Waters, about 45 miles north-west of Brisbane, for a birdwatchers' meeting the following weekend. She failed to turn up for the meeting in Kenilworth, 60 miles away. The alarm was raised when Ms Bridge failed to meet her fiance Jonathan Webb at Brisbane airport when he arrived from the UK to join her on holiday. Her father Lionel told reporters: "We think the most likely thing that has happened is that she's had an accident ... but there is always the possibility in the back of our minds that something else has happened." Ms Bridge's parents do not expect to see their daughter alive. "We have no hope - it's a terrible thing to say but we've got to be realistic," her father said. 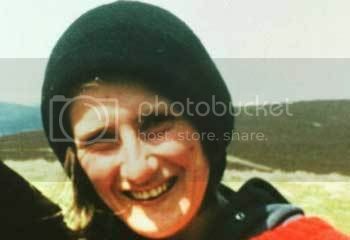 Detectives are poised to look again at the case of a missing Cumbrian backpacker who vanished in the Australian outback. 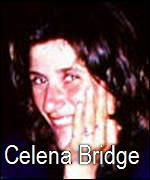 Officers say they want to look at the inquiry with fresh eyes – more than 13 years after Celena Bridge disappeared during a holiday Down Under. 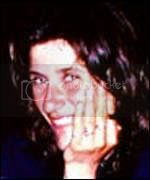 Miss Bridge lived at Ainstable in the Eden Valley and was 28 when she went missing in 1998. An investigation was launched after the conservation worker failed to meet her partner, Jonathan Webb, at Brisbane Airport. She was last seen in the town of Conondale in Queensland after apparently setting off for a bird-watchers’ meeting. Miss Bridge was described as easy-going and friendly. 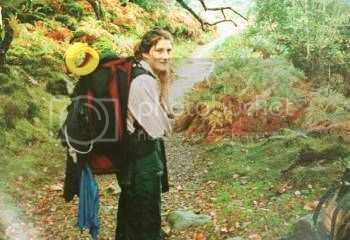 She was also an experienced hiker. In July it was revealed a new police chief on the Sunshine Coast planned to look again at the case, but another investigation reportedly took precedence in the following months. However, officers are now preparing to pursue with renewed vigour the cases of Miss Bridge and two other missing people, another woman and a teenage girl. They all vanished in a 16-month period. Their bodies have never been found. Senior Sergeant Daren Edwards told Australian newspaper the Sunshine Coast Daily: “We’re in the process of getting all the original files from homicide to have a proper read. Miss Bridge’s fiancee reported her missing after the environmental science graduate failed to meet him when he arrived in Australia to join her. It was initially thought she had died in an accident in the bush but murder was later suspected. It is reported in Australia that police have long believed all three missing people disappeared at the hands of a man now in jail for the murder of the teenager who vanished.